Before the success of gaming consoles, “video games” used to mean PC games. Then console popularity grew. Around the time of Xbox and the Wii, game studios realized there was an untapped market outside of the self-identified “gamers” category. Kids and adults were more than willing to play games, there just wasn’t content that grabbed them. Games or franchises like Rockband, Wii Sports, and Fable changed all that. The floodgates had opened. According to the entertainment software association, 65% of American households have a gamer (what we’ll call a person who plays games regularly). And 67% of American households have a gaming device. And 67% of parents can be found playing video games with their kids at least once during the week. Despite the occasional bad press, 71% of surveyed parents reported thinking video games had a positive impact on the lives of their children. The games industry “fueled the direct employment of 65,678 Americans” in 2016. That puts it right around other established recreational industries, like bowling and skiing, in terms of employment numbers. Of course, the gaming industry is way bigger than just America. According to a market research study conducted by NewZoo, the global games market is expected to hit $108.9 billion USD in 2017. They expect the market to continue to grow. They estimate that the global games industry will reach $128.5 billion USD in 2020. The games industry is still growing on a global scale. What does that mean for jobs? Global games industry figures can be misleading, so let’s take a look at the stats in a bit more detail before we look at the bacon you’ll be bringing home (#ketodiet). The region responsible for most of the revenue generation? The Asia-Pacific. China alone is expected to generate $27.5 billion of all game industry revenues in 2017. For those of you paying attention at home, that’s a quarter of all revenue for the 2017 projections. What about North America? From 2016 to 2017, North America saw a 4% growth year over year in revenue. The United States is responsible for $25.1 billion USD of the global games revenue. Canada is responsible for $1.9 billion. North America is home to 180,481,000 gamers—a substantial amount. It is projected to account for 24.8% of the share in global revenue in 2018, with estimated revenue hitting $27.0 billion. That’s a lot of sweet moolah floating around in the global games industry. But the industry isn’t growing faster than the competition for jobs within the industry. There are a lot of aspiring game designers and game developers out there. Universities are offering game design programs and game developer programs. And everyone seems to be asking–Is investing in those programs a sound financial and career decision? Will you be able to make enough money to pay back the expenses of going to college? For the sake of this article, we relied on Glassdoor to estimate salaries for positions in the game design industry. Glassdoor works by processing information that’s voluntarily supplied by actual people working that specific job. So, you might have some job salaries that are extremely accurate and others that aren’t quite as representative of the actual salary picture. Why does this happen? Some jobs will have information supplied by hundreds of people in that position. Other jobs might only have a handful of info submissions. We’ve picked some popular jobs in the industry. This includes positions you can aspire to after a few years in the industry, and a couple positions you can pursue while you’re as fresh as a spring chicken. We’ve also included descriptions of what to expect from these game-making roles. The ranges and averages listed on Glassdoor can change based on market changes as well as new information submitted by the relevant workforce members (so click through on the hyperlinked numbers to see the most up-to-date Glassdoor estimate). It’s also worth noting that different regions will have different averages and salary ranges. Plug in your desired job locations to see how that changes your estimated earning potential! According to GlassDoor, the junior game designer national average salary is $61,292. Not too shabby. 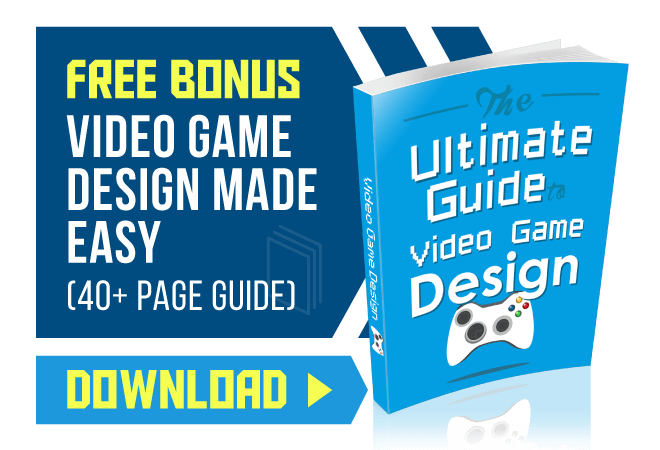 Junior Game Designer is an interesting role, and if you haven’t already served in that position, it’s a stepping stone you’ll likely have to hit before landing the coveted Video Game Designer position. Your responsibilities as a Junior Game Designer will vary based on company size and the size of the project you’re working on. If you’re on a small team, you might be acting as lead designer. If you’re on a larger team, you’ll likely be relegated to specific design tasks within the development of the game. Once you put your time in, you have a shot at becoming the Video Game Designer. 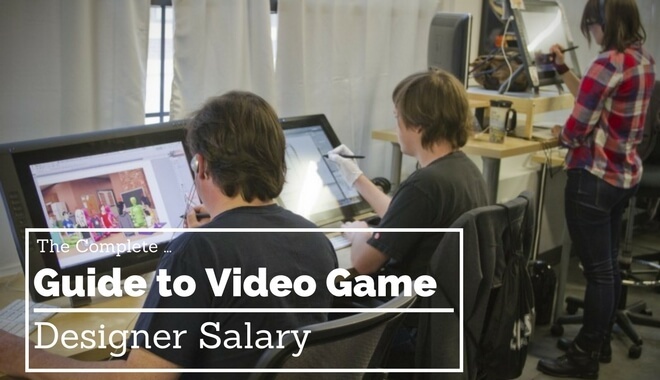 A Video Game Designer has a national average salary of $70,750. The low end of this range sits in the mid-forties (about $42k-$48k depending on where you are located). The high end of the salary range sits around the mid-nineties (this will fluctuate based on location, too). The Game Designer position is a highly coveted position (at the very least, it’s a position that thousands of people outside the industry think they want). Game designers are responsible for the big game decisions: core elements, gameplay, characters, themes, etc. It’s a power role (not to be confused with a barrel roll), and in it, you will have many leadership responsibilities. Game Designers need good leadership skills. Communication is a biggie–you’ll be in charge of coordination and communicating with the other departments on the project. As we mentioned, this role is not entry level. The only way to fast track it to lead game designer is by starting your own studio (which is viable if you’re in to that!). The role requires serious industry knowledge: system hardware capabilities, budgeting, developer roles, software technologies, and more. The Game Designer needs to plan and plot while keeping time constraints and technology constraints in mind. According to Glassdoor the national average salary for a Video Game Developer is $83,739. The national average salary range is about $52k to $127k. The national average for Junior Game Developer salaries is $71,724. As a junior game developer, your role will depend largely on the needs of the studio and size of the project you’re working on. The smaller the team, the bigger your responsibilities (usually). On a big team, you might be working with a number of other junior developers. The lead developer will oversee the project, and handle business of her own. In this setting, you’ll receive some focused tasks, like cleaning up or polishing specific aspects of the game. If you’re working with a small team, you might be the sole developer on the project. That means you’ll need to have (most of) the answers and you’ll be responsible for the developing work. After some experience, you can go for a Game Developer position (that’s right, dropping the “junior!”). A Video Game Developer’s role still depends on the size of the team and the size of the project. But, as with a senior game designer position, you’ll likely be responsible for certain aspects of leading the team. Company size will make a difference, but many studios will have several positions under the umbrellas of game developers (and sometimes game designers). 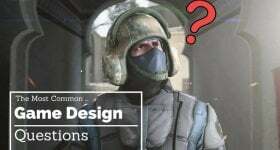 If you don’t have experience to land a position as a game developer or game designer, you can land a job as a game artist, or a level designer. We aren’t saying that these are lesser jobs. They aren’t at all. They are specialized jobs. Game developers and game designers (especially) need to be well-rounded in order to do the best job they can as they climb the job ladder. Getting specialized experience in niche elements of game design and development will prepare you more thoroughly for the team leader roles. The national average salary for game artists is $67,628, according to Glassdoor. The low average is $45k. The high end of the average is $92k. Your salary will depend on the studio, your experience, and your location. Your job as a game artist will require you to create everything from concept art and storyboards to actually rendering the objects in the game. Smaller indie studios might outsource this role to freelancers, but many studios will manage this role in-house. You might have a hand in creating any visual asset needed for the game–everything from characters and vehicles to scenery and objects is fair game. You’ll need art skills (as the name suggest). And you’ll probably want some decent programming skills, too (unless you only want to work on interactive graphic novel games, where you can render everything in a program like Photoshop). A strong portfolio is crucial for landing a game artist position, especially without any prior industry experience. After enough time passes for you in the industry and you’ve honed your skills to a master level, you will have opportunities to pursue Lead Artist positions. The Lead Artist is in charge of the art department. As Lead Artist, you have final say over the game’s visual style. To be a well-rounded team leader, it’s a good idea to put in as much time as you can in the different art department roles. Having a variety of jobs within the department under your belt will give you the experience and understanding you need to effectively lead your department. Glassdoor lists the national average salary of level designers as $62,992. The low end is $45,000. The high end of the average is $92,000. As with Game Artist, the Level Designer position can be considered an entry-level position. There are Game Designers and Game Developers in the industry who got their start with a position like this. Level Designer is pretty straightforward. You’ll be in charge of designing levels for a game. Houses, castles, mountains, grottos–you’ll be designing and editing the environments needed for the project. You’ll answer to the Game Designer and the Lead Artist on the project. That doesn’t mean you won’t have freedom to get creative. You’ll have a theme, style, and art direction to work under, but what you produce in that framework comes from your creative brain. As you advance as a Level Designer, you’ll be responsible for developing the gameplay of a level. In game genres like platformers, much of the game’s challenge comes from the level design. Modding is a great way to work with AAA assets, hone your level design skills, and get noticed by the industry. There’s a lotta’ money being made all over the world thanks to games. And, as you saw from the numbers, Game Designers and Game Developers can make a pretty decent living. The gaming industry is a global industry. To get the best jobs, you might have to look at the global market. Nothing replaces hard work and an incredible portfolio, but if you really want a job in the industry, widening your geographic search could do the trick.